Endless, our TL have not been seen for weeks, these chapters were previously done and forwarded to us.. Hopefully he is doing all right and comes back soon, till then we are not sure when c85 would release… Enjoy…. Chapter 84: Meat Pie from the Sky! Listening to Yun Caixiao’s words, Jianpu expression immediately turn dark. However she couldn’t help, but approve of her disposition. This girl was really an extremely good person, she can only think of sharing her good fortune with Hong Xiaobao. Nevertheless, Hong Xiaobao sharing his with her, too. Such a couple was indeed a match made in heaven and earth, truly far from the kind of person that goes only for the benefit like Ye Jinning! Jianpu spoke till here. She stretch her right hand, grasped the sword that is about three zhang long (3.33m). She slashed once and a ray of light came crashing at the area full of rocks. The slash did not meet any obstacle, it cut the rocks smoothly like a mirror. With a bang, the rocks split evenly, something even few practitioners with the strength of 3-star would have a hard time accomplishing. Yun Caixiao looked dumbfounded at this scene. It was only a casual strike, but it cut the rocks evenly like it was calculated with extreme precision. “Disciple understood!” Yun Caixiao hurriedly saluted. If she can learn such a profound martial arts, who in the world can bully her? “En, that’s good,” Jianpu nodded, she gave more demonstration of «Windless Body Swordsmanship» to Yun Caixiao, explained the principles behind the technique, and departed like a floating master running in the air. In Azure Dragon Valley, a carrier pigeon flew into a building. “Show me quickly!” With Hou Yuanxun and Purple Feather Pavilion leader Zou Xiuwen formulating the plan before, they had Head Elder Xiu Wenle set out immediately. Now, receiving the letter from the disciple hand, they immediately read it. The more Hou Yuanxun looked, the more he knitted his brow. By the time he finish reading the letter, his eyebrows were almost twisted into one. “How is it, brother Hou? 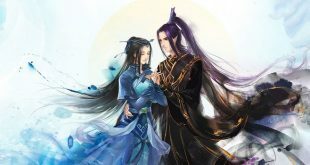 Is there something the matter?” Zou Xiuwen looked at Hou Yuanxun expression and knew that some matters may have changed. “Space mine!” Hearing his words almost made choke Zou Xiuwen with shock. This legendary space mine had only appeared in the records of antiquity. It is said that with this weapon alone, the big gate of Jiang Hu’s first school Meteor Pavilion was destroyed. Once this space mine exploded, the whole building exploded as well and people flew like flies into the air. Even the mountain where Meteor Pavilion was located at was not spared: an avalanche decimated the whole mountain. Its might was truly astonishing. This legendary thing now unexpectedly appeared in Hong Xiaobao hand? Opportunity?! Hong Xiaobao grasped the way of manufacturing of the legendary space mine. Facing such enemy, no one can say that they have the assurance to win. What kind of opportunity was he talking about? In the palace hall, the elders of the two schools also pricked up their ears. They also wanted to know what kind of opportunity they are discussing.